I’m a huge fan of Aurora Rose Reynolds and her books are a must read for me. 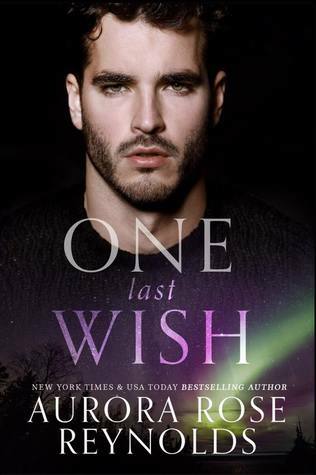 One Last Wish was a no brainer for me to read. It was such an incredibly heart-breaking yet sweet story. Starting this book and knowing a little about what it was about I was prepared for the heartbreak but it still tore me in two. The first few chapters of this book where rough and so sad. Aubrey decided to play it safe and marry her childhood friend Gage. They have a great life together but nothing can prepare Aubrey for what’s to come. Denver has always loved Aubrey but didn’t step in quick enough and let his one true love slide through his fingers. He decides that seeing her happy is the most important thing. Then one day he gets a phone call from Gage that will change all of their lives for the worst or better depends on who’s looking! Aurora really knows how to tell these heart-breaking stories and I’m sad to see this series come to an end. But this book is well worth a read and as always I loved her secondary characters and also the look back at some previous faces we’ll recognise. Definitely a must read. Live-Action Disney Movies I Can’t Wait to See! Yes I’ve read all her books, she is a must read for me too 🙂 Glad you enjoyed it luv!